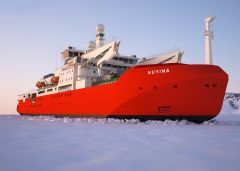 Replacing the Aurora Australis, the new icebreaker will be a state-of-the-art ship that will provide new possibilities for scientific research in the Southern Ocean and Antarctica. The vessel is currently under construction at Damen Shipyards Galatz in Romania, and, once built, the 160-metre long, 25,000-tonne vessel will operate from Hobart. As project manager, Mr Browne leads a multidisciplinary project team within the Antarctic Modernisation Branch of the Australian Antarctic Division in Kingston, near Hobart. “The project is responsible for delivering a shipping capability; not just a ship. This means, in addition to the RSV Nuyina, we need to provide a new commercial ship operator and maintainer (Serco Defence) for an initial operating term of 10 years,” he said. The design, build and 30-year operational and maintenance lifespan of the vessel will cost $1.9 billion, representing the single biggest investment in the history of Australia’s Antarctic program. The icebreaker will be the main lifeline to Australia’s Antarctic and sub-Antarctic research stations, and will drive Antarctic and Southern Ocean scientific research, sustaining the next generation of Australian Antarctic scientists. Mr Browne has been working on the RSV Nuyina project for more than six years and expects his role to formally end in 2022, following the completion of warranty processes and once the vessel is fully operational. I always dreamed and hoped to be involved in a project as significant as the RSV Nuyina project, however I did not necessarily think that it would eventuate, and certainly not in such a key project management role,” he said. Mr Browne graduated with a Bachelor of Engineering (Hons) in Naval Architecture from AMC in 2005. “My degree in naval architecture has provided me with a great foundation of technical knowledge relating to ship design and construction activities,” he said. 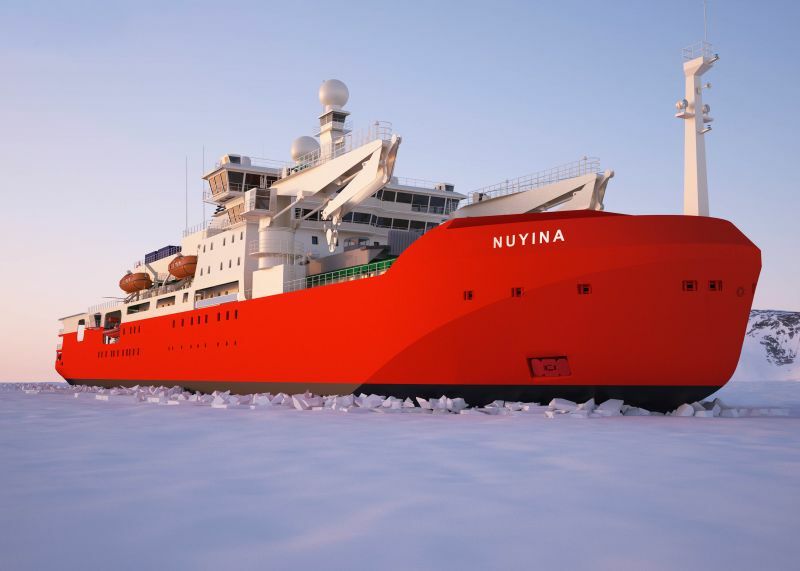 There are several AMC connections within the RSV Nuyina project team at the Australian Antarctic Division. “We are lucky enough to have several alumni here, including Captain Mike Jackson, who has worked with AMC for many years in different capacities. We worked closely with ex-AMC Board Chairman David Sterrett in developing our requirements set for the operations phase of Nuyina,” Mr Browne said. When the RSV Nuyina project is complete it will have consumed at least a decade of his working life. So, what do you do next, when you’ve been involved in one of Australia’s most significant maritime projects? “I certainly have future career aspirations beyond the RSV Nuyina project completion, however I am not completely sure what direction they may take me. It is really a matter of timing and opportunity, but I would first of all like to finish what I started with the RSV Nuyina design and construction program,” Mr Browne said.